Our stainless steel industrial grade band sealers are ideal for sealing thermoplastic materials (PP, PE, laminates) of any size and length. 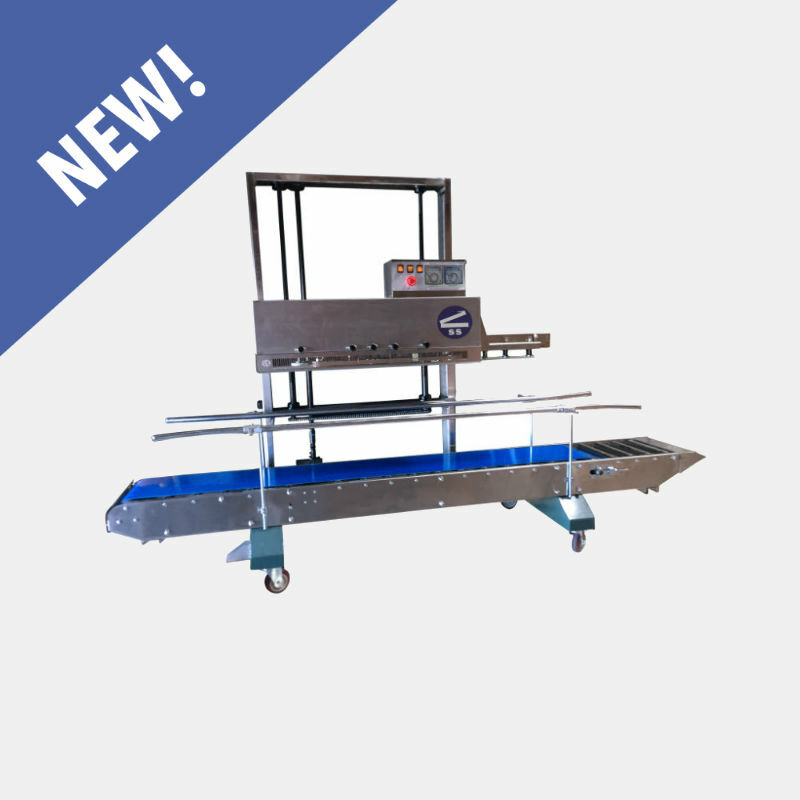 We carry both horizontal band sealers (bags lay flat on the conveyor), and vertical band sealers (bags are in a standing position on conveyor) which allow our band sealers to be used in a wide range of applications and industries. Speeds of band sealers are considerably faster than other types of sealing (up to 472 inches per minute). Vertical Height 6"-12" 7.8"-12" 7.8"-12" 7.9"-12.6" N/A 3.9"-27" 11.8"-35"
Custom specifications accepted. We carry a wide range of band sealers from light to medium to heavy duty accompanied with a full set of optional features. Please contact us for further information.